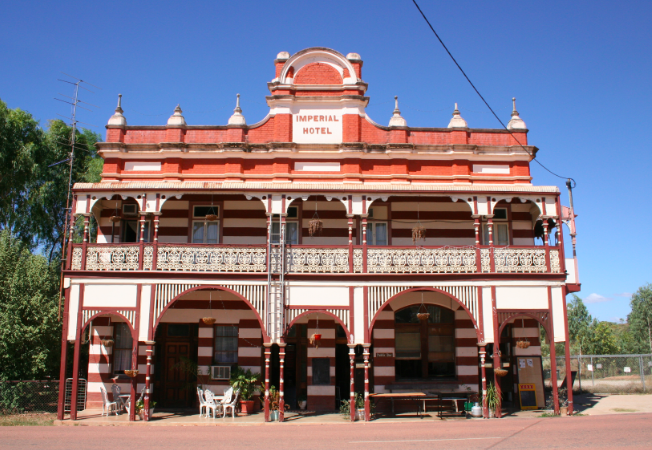 The Imperial Hotel , or the Impy as it is known to those in the know is the perfect spot for a break from the road. Park your car and caravan up, step inside the Imperial Hotel and get ready for some world-class service. They have some meals that get recommended throughout the land at decent prices. It’s worthwhile experiencing some real Queensland history that is being kept alive by John & Dianne and their staff. We hear Greg their cook knows his way around a kitchen. It’s an interesting gold mining town with a few good local tales and plenty to learn. It’s a colonial gem and also has wonderful rooms upstairs if you want to give your caravan or motorhome a bit of a break. We also hear that there may even be a few rooms that are haunted if you believe in that sort of thing? Potentially you could have a nice meal and then sleep in your RV if you’re scared of ghosts. This one you shouldn’t miss. 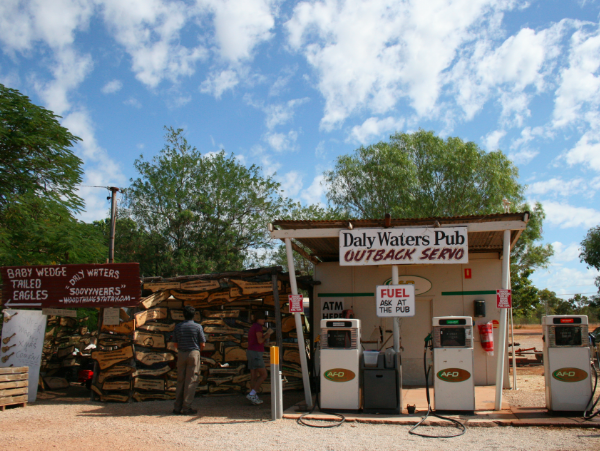 How could we have a list of awesome Australian pubs for caravan owners without featuring the Daly Waters pub. They have a great team of staff and management, that although under the pump all the time, work with a smile and have a great attitude. The place does get busy, but good places usually are! It’s one of the heartiest caravan pubs around, and has a heap of outpost history under its belt, including shootouts, fights and a ghost in the kitchen. Take a break from your caravan or motorhome and have a few coldies. 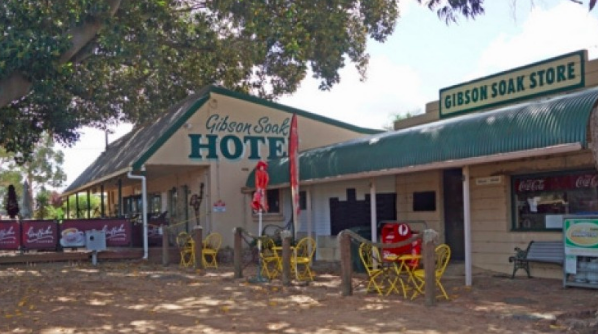 They are very friendly to the caravan and motorhome tourers so its no wonder that amongst the RV community the Gibson Soak Pub is recommended frequently. You can park your caravan next door and go for a beer and a feed. Most people stay a bit longer. We have heard rave reviews about their menu, you get plenty of food for what you pay for and they fill you write up, a perfect stop after a long drive towing your caravan. Order your food and by the time it’s done you can go see the sheep and chickens out the back and have a drink, Its also just a short drive out of Esperance to visit. Plenty of old photos showing the early settlers of the area and were wrapped to see a corner dedicated to AC/DC, modern history created by an iconic Aussie band. Plenty of room for caravans and motorhomes to set up camp which is fabulous. They have great amenities too. Worth a visit one of the best Australian caravan Pubs, at least a few nights! 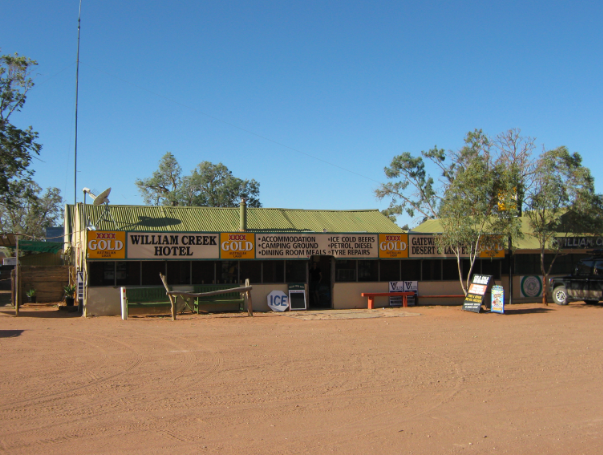 You haven’t lived until you’ve been to the William Creek Pub! They have amazing, spacious campgrounds which is perfect for an outback camp out. 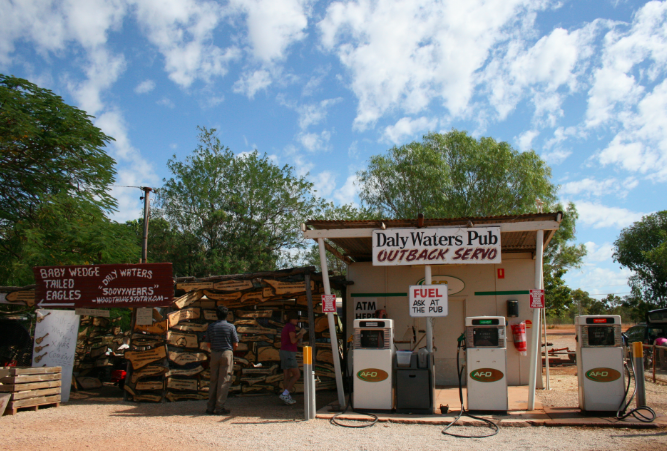 Its a great stop if you are doing the Oodnadatta track with your caravan or RV. It’s not often you find country caravan pubs with an awesome caravan ground across the road. The caravan accommodation is comfortable and clean. They have excellent meals and service for all. Do yourself a favour and take the flight over Lake Eyre while you’re there and book a trip to the lake with Wayne from Arid Area Tours. Its absolutely breathtaking and you get to see plenty of bird life. 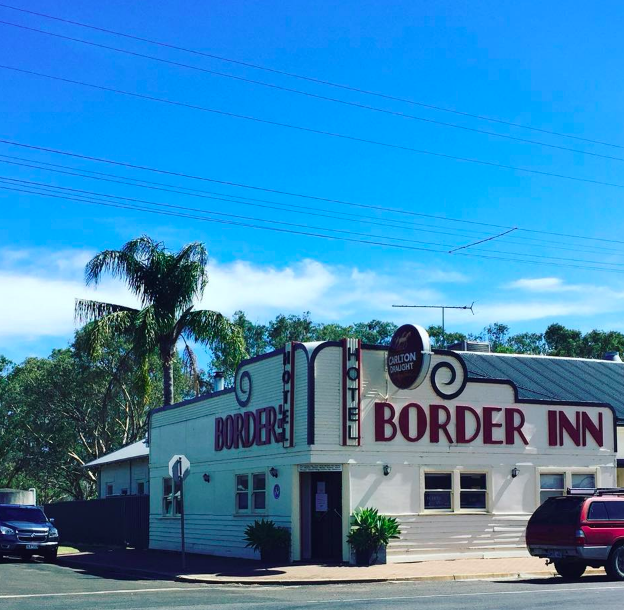 The Border Inn was about to close before 11 farming families within the community got together and decided to buy it. All we can say is that we’re really lucky they did because this one is a must visit. 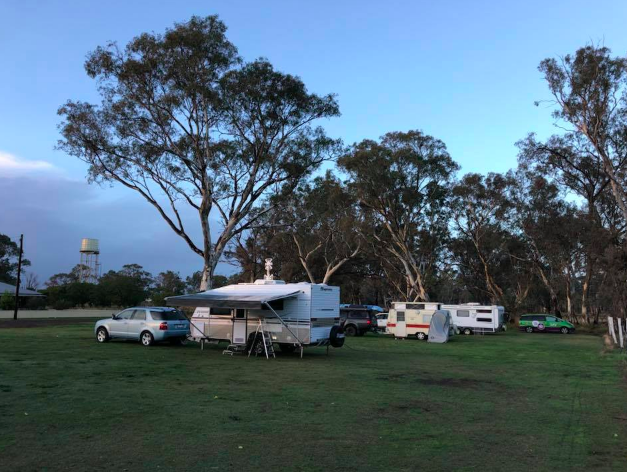 They have some great camping and caravan spots at the rear of the hotel, it is surprisingly quiet and very tidy and they really keep it that way all year round. Park your caravan or motorhome up under some lovely trees and go and enjoy a cold one. They offer free camping which is almost unheard of these days for a pub so they really are putting the arm out to welcome caravan and motorhome owners. The meals are an absolute highlight and get recommended all the time. We hear the Parma’s are superb and the gnocchi is fantastic as well. The locally grown lamb is another one to get your chompers around, we are definitely picking up what the Border Inn is putting down! The staff are great and love serving caravan and motorhome owners after a long day on the road. It’s a great pub reborn, get your caravan to Aspley and pay a visit to one of the classic caravan pubs.